Taking care of dental implants is easily done by simply maintaining good oral hygiene habits. Brushing twice a day and flossing regularly will make a significant impact in keeping your implants clean and free of plaque. Why Is Daily Care Important For Dental Implants? 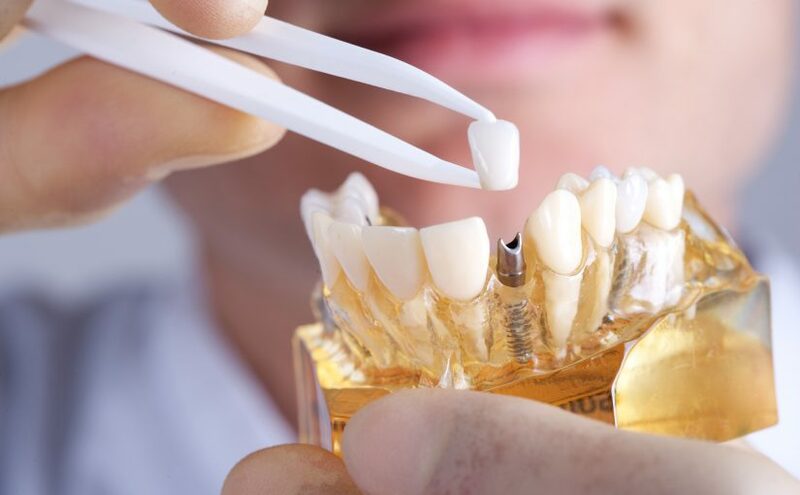 Although an implant is not a natural tooth, it still requires daily care in order to prevent problems that can lead to bone loss and even removal of the implant. Even though you cannot develop cavities or decay, dental implants that are not well maintained can cause bleeding known as mucositis, which if left un-treated can develop into a condition known as peri-implantitis or irreversible bone loss. You must maintain good daily oral care habits to prevent gum diseases or even dental implant failure. You may also avoid high amounts of sugar, starches or acids as these can be hard on teeth and lead to plaque buildup. To most effectively care for your dental implants, Foutz Family Dentistry recommends consistent oral hygiene and regular dental visits. Even with implants, you should still make it a habit to see your dentist every 6 months for a professional exam and thorough cleaning. You will also need yearly x-rays to check that all aspects of your dental implants are functioning properly, have healed, and are staying in place. Regular dental exams and cleanings play a significant role in preventing dental problems and maintaining the overall health of your teeth and gums. During a dental checkup, the implants will be checked for looseness and gums will be evaluated. At Foutz Family Dentistry in Henderson, we provide superior care for natural teeth and dental implants alike. TO schedule a regular exam and cleaning, call (702) 792-5929. Or call us today to learn more about dental implants and how they might benefit you. Previous Previous post: Gum Disease And Heart Disease: Is There A Connection?